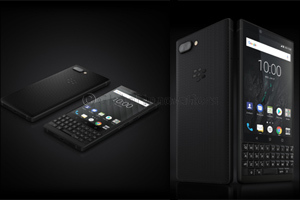 Dubai, UAE, July 05, 2018: The newest and most-advanced BlackBerry smartphone yet is coming to The Middle East. Starting today, the all-new BlackBerry® KEY2 is available across a choice of leading retailers distributed by Axiom Telecom, and will be available in Saudi Arabia later this month. Featuring an iconic BlackBerry physical keyboard and loaded with BlackBerry Limited’s best security and privacy enhancements, this all-new BlackBerry smartphone packs a number of features that are firsts for any BlackBerry smartphone. Running the latest Android™ 8.1 Oreo operating system, the BlackBerry KEY2 is the first ever BlackBerry smartphone to feature a dual rear camera. It also includes the introduction of Speed Key, a universal shortcut key that now makes it possible to instantly access the apps, contacts and functions you use most from anywhere on your device at any time. Etisalat will also begin offering the BlackBerry KEY2 in both Silver and Black in the UAE today. The BlackBerry KEY2 in Silver (6GB RAM/64GB ROM) is available for an SRP 2399 AED in the UAE and 2399 SAR in Saudi Arabia. The BlackBerry KEY2 in Black (6GB RAM/128GB ROM) is available for an SRP 2699 AED in the UAE and 2699 SAR in Saudi Arabia. All BlackBerry KEY2 variants in the Middle East are equipped with Dual Sim.